This is an excerpt from CineNiche editor Shaun Huhn's unpublished book on the horror genre The Wonderfully Terrifying: An Insight Into Our Love Of Being Afraid. This is from the "Monster" section of the book where he writes about witches but we chose this to showcase our favorite film Suspiria. Enjoy. “When we enter the realm of a Dario Argento film, the laws of the possible and probable are challenged. Like a master architect, a new framework of realities has been constructed concealing the audience in a house with many doors, even more rooms, and numerous windows. There is only one entrance, which we enter with free will and exist only when allowed. We are guided through darkness, from hall to hall, always whispering questions, and there is light only when we’ve entered a room. It startles us in a blinding flash, only for an instant, imbedding in our minds unspeakable and startling sights. During the tour, our senses will be assaulted both by what we see and hear. Music that is at times repetitious in melody or loud in volume and will serve a double purpose - the first to almost hypnotize, a lulling of our will, the latter to confound and confuse - together creating an atmosphere of uneasiness and apprehension. Suspiria, released in 1977, set records in Italy as one of the widest released Italian film of all time. Daria Nicholi, Argento’s ex-wife, told Dario her story and concept which was taken from old folklore passed down to her, and her own ideas of fear. She created a story about ‘the three mothers’ a group of three witches that were spread across the world - one in New York, one in Rome, and one in Freeburg, Germany - that stand for three different ideals. One witch Suspire, is the mother in Suspiria, one witch is Infernum from Inferno and the third mother is The Mother Of Tears . Argento says in his documentary that was done for Suspiria that he was influenced by Disney’s Snow White and the films color schemes. He wanted to create a dream within the film’s look. Suspiria works on a conscious and unconscious level, due to his highly stylized aesthetic. 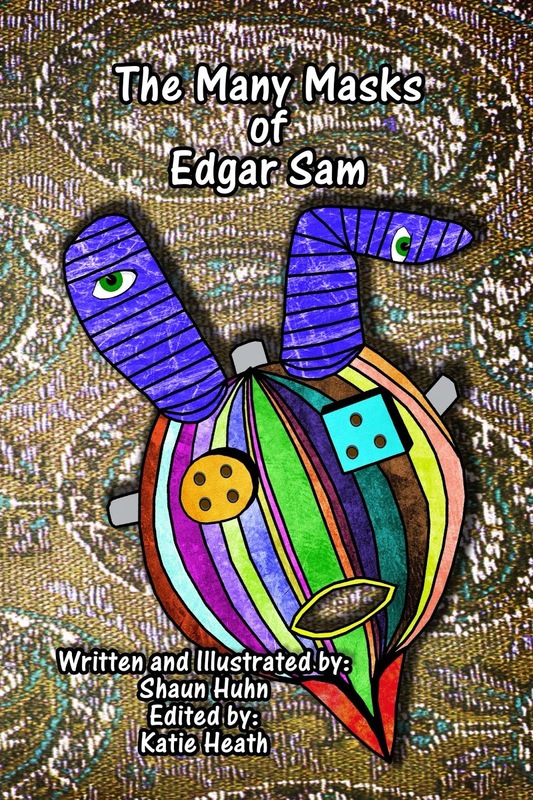 He not only wanted to create a fable about a witch and a secret covenant; he wanted to create art. Suspiria is subliminal as much as it is cognitive, Argento is obsessive-compulsive when it comes to detail and it shows in every frame. In the documentary about Suspiria, Dario tells us he made his director of photography, Luciano Tovoli, watch Snow White, to get a feeling of the color schemes and the brightness of each frame. To get the look Argento wanted, he spent a lot of his budget just to research and perfect new techniques to balance the colors of the film. He decided to, “take out a filter that is used to soften the borders so every color could remain absolutely pure, they didn’t worry about having perfect boarders as it made it even more unrealistic (Suspiria documentary).” Argento was also interested in using a German expressionist style, since he was trying to achieve a nightmare effect. The Cabinet of Dr. Caligari is a German expressionistic film that uses different camera angles to produce an intense effect, it also uses very non-realistic sets in which there are no curves only angles. Everything appears to be sharp and jagged, causing the image to leap from the screen. It also adds a subconscious effect of confusion that jars our senses. In Suspiria Argento’s use of straight lines in the sets and architecture are overbearing, and seem to have an effect all on their own, the same way German expressionism does. Argento and Tovoli decided the film stock they chose was the most important factor, they wanted to use Technicolor, but at the time in Italy, Technicolor film had already become scarce. They found Technicolor to be fascinating because when you develop it, the matrix system separates the colors into three bands, where you could paint each prime color matrix equally using different intensities in color or leave one out all together. This ability to manipulate the film itself gave Suspiria a completely different look. After they finally found the right film stock, Argento then had to plan out his wonderful and often highly complicated camera movements. The Goblins are a former musical group that worked in close collaboration with Dario for many years. 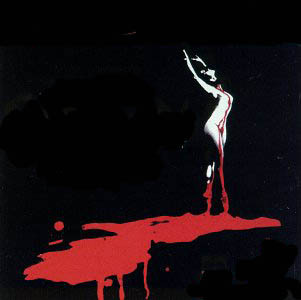 For Suspiria, Argento’s task for them was to reinvent music. Argento wanted sound effects used in the music itself such as: hisses, mumbling, crying, laughing, screaming, and whispering. He needed music that was as subconscious as his film. At this point in the film, when we hear a whisper, we find ourselves possibly scared and we don’t know why, up to this point absolutely nothing has happened; yet there is something to be fearful of. Suzy gets picked up by a cab, the cab driver refuses to pick up her bags, so she puts them in the trunk and gets in. Inside the cab the red and blue colors are more intense, and there seems to be a yellow filter shining on Suzy’s face. This creates a dynamic effect by evoking our relation to 3-D optics and adds layers to the scene through the use of colors. Lightning strikes outside of the vehicle and everything outside is lit up in green and we can see the rain falling out the back window. The cab takes Suzy to a large Victorian-esque red building. The shot tilts from the car up to the building, when lightning strikes the building is illuminated and the red glistens. Since the shot is during a stormy night, with no other people filling the frame, it slowly reveals the entirety of the estate, and its low angle view of the building tells us that this place isn’t somewhere we want to be. The first five and a half minutes of the film are Suzy making her way to the ballet academy and already viewers can feel uneasy. The next ten minutes involves a woman who runs away from the academy and gets murdered in one of the most horrific death sequences I’ve ever seen. When Suzy Banyon finally figures out that the ballet school is just a front for a covenant of witches, it is too late. Argento’s murder sequences are beautiful and breathtaking. That is a bold statement that makes me sound like a masochist, but it is true for a lot of people. We know that what is on screen is not real, even the blood he uses he intentionally wants to look fake. We glide along with the steady cam through long hallways, never knowing what is around the next corner. 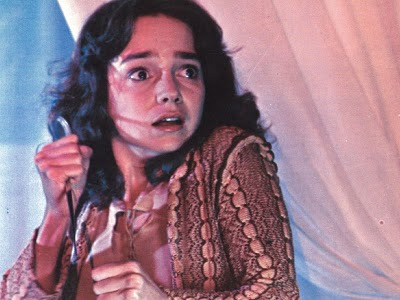 The only objection that could be made to Suspiria is that it seems boring during the middle, but this has been a trick used in many horror films to build suspense and anxiety within audiences. Tobe Hooper used it in his slasher film, Texas Chainsaw Massacre . We grow impatient and drool for the kill, or the excitement. There is a sequence where a blind man is killed in the middle of what looks like a town square, Argento builds suspense for ten minutes before a quick kill. This is the second death in the film and it follows a woman in suspense for a short duration and the kill lasts what seems to be forever. This building of suspense heightens the illusion and encourages imagination. The first time I watched the film, I could have sworn I saw someone lurking in the shadows, but upon further viewings there was nothing moving. It is the power of suggestion, just like the witch. Argento used extreme long shots, which made the actor seem like an ant. The shots were static, from multiple angles all around him. The score is building as the blind man screams and his seeing-eye dog barks. Finally a moving shot, starting in the air and swooping down towards the actor then back into the air again. We hear a flapping noise and laughing as the camera seems to attack the blind man. Then the soundtrack goes silent, we hear the man breathing, we cut from different angles to show his terror, then finally and quickly his dog attacks him and tears out his throat. Proving within this film that witches can possess and control animals. This silence before the attack is how Argento paces his films, he shows everything from before the attacker sees his victim, to the stalking, the attacking, and the moment after the victim stops breathing. So when it comes to criticism about boredom and sluggishness I always think about fast paced action packed films that insult my intelligence. The witch in this film doesn’t truly show herself till the very end, even then it is brief. It is the covenant's belief in her that keeps her alive and powerful. But when Suzy stabs her in the throat with a pin, the academy collapses and the witch dies, symbolizing the death in the belief as well. Another clever play on shattering our reality, which is one of Argento’s normal goals shown usually by breaking glass. Suspiria was the first film to show how beautiful being terrified can be, also how artistic. 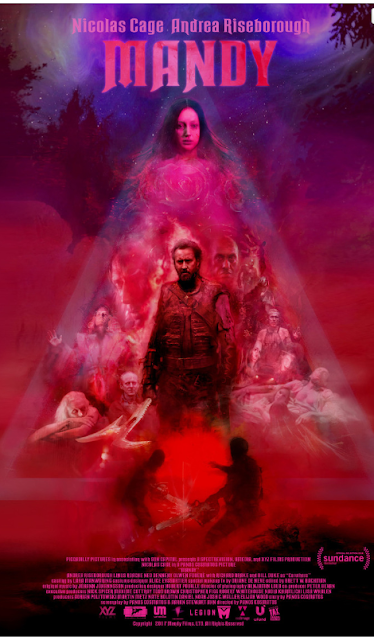 As a personal belief I hold, Suspiria and The Shining to be the most highly intelligent and artistic horror films of all time. Even though Suspiria goes against all my feelings of witches, it still makes the hair on the back of my neck stand up. movie365 - What sets Dario Argento apart from many of his contemporaries is his success with visual imagery. In a style where sudden visual shocks are used to thrill the audience, Argento creates elaborate deaths which cannot be quickly forgotten. The highly involved double-murder towards the beginning of the film still remains one of the most memorable scenes in horror history, standing next to the Psycho "shower scene" in pure sensory input. And in a technique so powefully employed here and here alone, Argento sets scene after scene aglow with color, using it to express the mood in ways only the subconscious can fully appreciate. All around, this is an excellent addition to the genre of horror cinema, one of the most expressive films to ever plunge a knife into the psyche of its viewers. We would like to apologize for our absence the last two weeks. Life changes have led us astray, but during our sabbatical we uncovered a true gem. The Fireworks Man or Angela The Fireworks Woman – which the latter makes no sense as a title – is not a gem because it’s good cinema, but rather an expose on a known director’s seedy beginnings. Is The Human Centipede The Most Disgusting Film?